...See you at the top! This is the coldest Florida has been all winter, in the 30's this morning. The cold is suppose to be done now. It turned out to be a wonderful day. We headed out and went to Sam's Club and Wal Mart. I got some new shoes at Sam's. They are grey and shocking pink. Very pretty. We dug out the underwater camera to take with us tomorrow. Rog took the card out of it to see if it was empty and surprise "before unseen pix". This first set of pix were taken on Jan 2012. 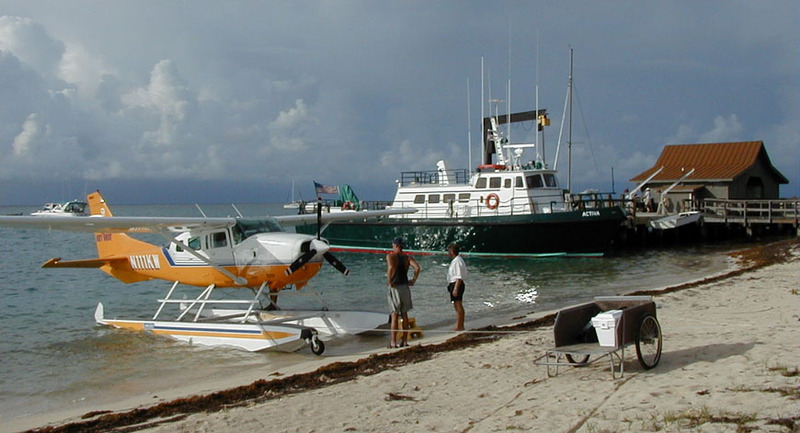 We were staying in the Keys and we had taken the 2 hour boat trip to the Dry Tortugas and the National Park there. The next to pix are from the National Park web site, go there and learn more about the park. 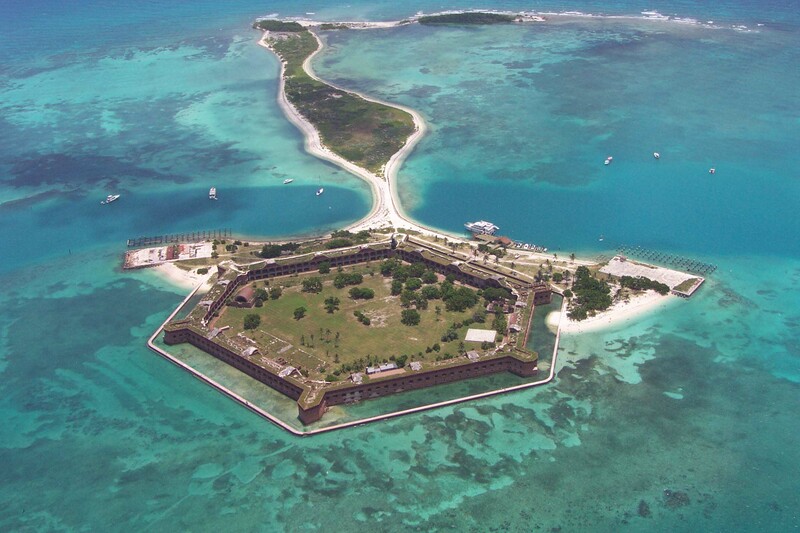 The first is a bird's eye view of the Dry Tortugas and the fort. We learned that they were called Dry Tortugas because there is no drinking water on any of the islands. At the fort they collected and stored rain water. We came in on the boat pictured here. We got wet suits to snorkel in the Atlantic Ocean. I can swim, but in the ocean it is so different. In the ocean, because of the wave action one uses their feet to propel themselves in the water. You can not swim like you would in a pool or lake with your arms. Since I can not use my legs it was impossible for me to swim. The wet suit did not help me either. You can see the fort behind me. I did get some underwater pix before I had to just call it a day. I could not get out to the reef to take the pix of the neat fish and stuff. A seaplane that was there while we were there. You can camp there, but you come over on boat or plane and pack in all your stuff.